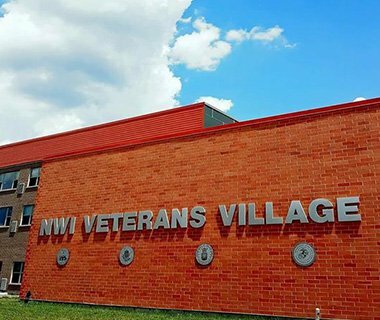 NWI Veterans Village | CPR inc. I t was a pleasure to connect with the St. Matthias Youth Ministry and all the terrific folks at NWI Veterans Village. There are 44 veterans who have struggled to find any housing currently living at this beautiful facility in Gary, Indiana.